The Kubix by Fanimation makes it cool to be square. The Kubix defines the term edgy with its square fan base and cubic opal frosted glass light shade. 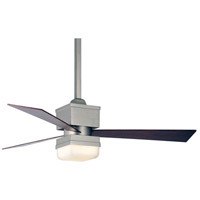 This contemporary ceiling fan is available in oil-rubbed bronze and satin nickel finishes with reversible cherry/walnut blades included. 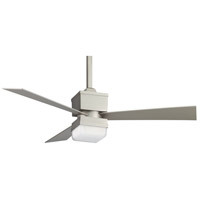 Optional blades in a satin nickel finish can also be paired with this fan to create a more uniform look. The Kubix accommodates a ceiling slope up to 30 degrees and includes a 6” downrod. The Kubix also includes a non-reversing remote control and operates on three forward and reverse speeds. Downrod Length 6" x 1"
It all started twenty-seven years ago with a man, a garage, a concept and a dream. The man was Tom Frampton, his garage was in Pasadena, California, his concept was to design unique and innovative ceiling fans and his dream was to channel his passion for creating high quality ceiling fans into a revenue producing enterprise. Tom’s first ceiling fan design, The Punkah®, transformed his dream into a reality and Fanimation was born. It was not long before Tom’s exceptional ceiling fan designs began to create a buzz and Tom realized that his one-man operation could not keep up with the demand. As the word continued to spread and Fanimation’s popularity increased, Tom made the decision to relocate Fanimation’s headquarters from southern California to central Indiana and expand his business operations. Over the course of the next two decades, Fanimation evolved from one man and his dream into a thriving international business with thirty-six employees and eighty-two sales representatives. 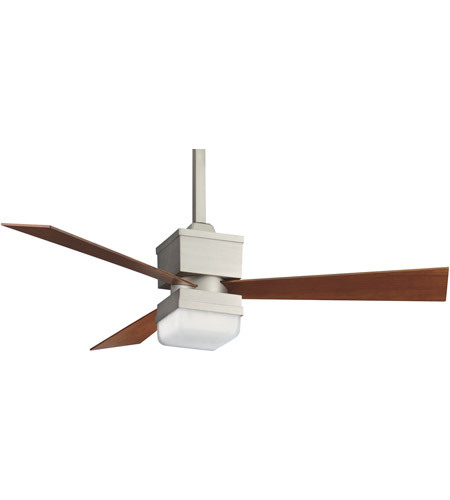 Today Fanimation sells its ceiling fans to more than 1,500 retail stores and ships its products to more than twenty-three countries. In recent years, Tom passed the Fanimation torch to his son, Nathan Frampton, who has enthusiastically pursued Fanimation’s mission to deliver ground breaking ceiling fan designs. Under Nathan’s leadership, Fanimation has continued to grow its business while maintaining the family oriented corporate culture that has defined Fanimation almost as much as its cutting edge designs.